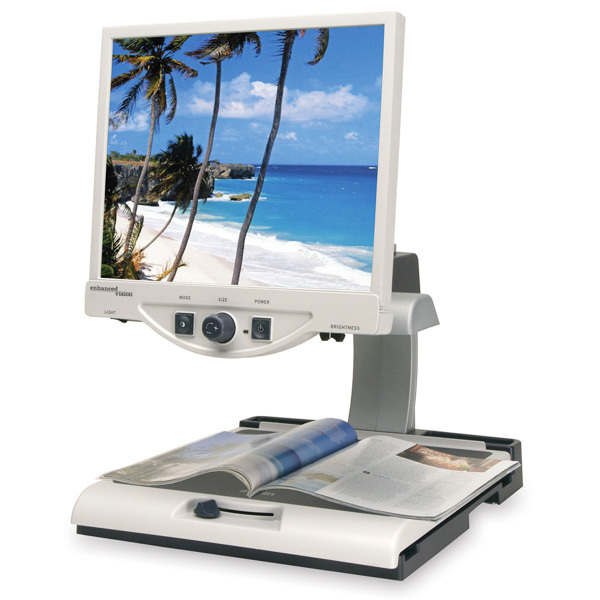 Enlarges text and pictures and displays the enlarged image on a monitor screen. Magnification of 2.4x – 77x. Four viewing modes and pivoting screen. Auto Focus. Object locator feature. Voice-activated with simple voice commands. Tactile buttons for use. VGA capabilities. No assembly required. Monitor sizes: 22", 19", 17"
See more products from Enhanced Vision Systems, Inc.
Purchase this product from Enhanced Vision Systems, Inc.